The Romantics gave us the notion that instrumental or ‘absolute’ music was the art form able to speak most directly to the soul, affecting us immediately. Immanuel Kant, the Enlightenment philosopher, developed this idea from his precursors, distinguishing affects from passions. Affects are those ‘first’ impressions that give rise to feelings of strong emotion, preceding any kind of mental reflection, even rendering such reflection ‘impossible’. Literally, that which affects ‘does something to’ its subject (from the Latin ad ‘to’ and facere ‘do’). During the Baroque and early Classical eras in particular, there was a revived interest in determining precisely how music was able to ‘make’ its listeners empathise. The terminology was borrowed from rhetoric, which had long since recognised that an audience is persuaded not so much by arguments themselves as by the manner in which arguments are expressed, in other words, by figures, tropes and ornamenting devices. In music, similar principles were found to apply. In order to sway the listeners, the tonal argument of the music of the seventeenth through nineteenth centuries was ‘covered’ or ‘coloured’ (the two words come from the same Latin stem) with a whole range of expressive devices, from an ornamental trill to an extended cadential trope. As the rhetoric of the tonal argument increasingly came under attack at the turn of the twentieth century, ‘colour’ in its broadest sense assumed an ever-greater prominence, even to the point of becoming the argument itself. 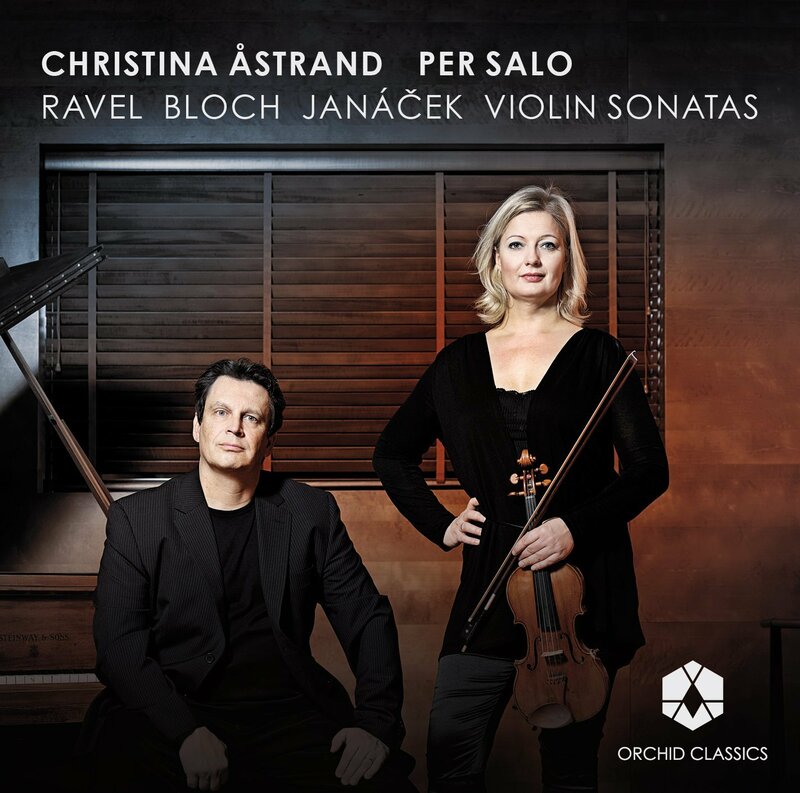 The present album is an exploration in a series of works for violin and piano of both the interdependence and internal antagonism between colour and affect. The relationship between the two is captured in the album cover image, Fulfilment, by the Japanese artist Toko Shinoda, whose one-hundredth birthday was celebrated in March 2013. Shinoda works in the tradition of sumi ink painting, combining its classical, minimalist brush strokes with elements of Western abstract Expressionism. Modern lithograph techniques allow her to capture the interdependence of affective spontaneity (the stroke of the brush, which cannot be repeated) as well as the deliberating ornament (the ‘accent’, here the thin diagonal streaks of gold paint which she hand-paints onto each individual copy). Like the practice of Zen Buddhism which is bound up with the development of sumi painting, Shinoda’s work shows this artistic embodiment of affect and colour taking place through a life-long habituation of attending to the reciprocity between the dynamic movement of affect and the anticipatory movement of colour. The fundamental coloration used to produce affect in music is the figure of repetition. If music is defined as the activity of ordering sound into a structure, then the repetition of certain sounds and patterns is the principle means by which such ordering occurs. The musical relationships thus established allow the hearer to grasp the structure as anything from a melody, rhythm, or harmony to an impressionistic soundscape. Essential to this repetition is the observation that in order for repetition to be affectively effective, it ought not to be strictly identical: variation, writes one eighteenth-century handbook, ‘heightens the intensity of the repetition’. Rather than simply copying a pattern, musical repetition non-identically repeats a nuclear theme — that is, it creatively imitates. ‘What is repetition?’ another entry asks, and replies, ‘that which is called mimesis (imitation)’. This statement touches on a perennial philosophical problem: the uncomfortable realisation that there is no neat distinction between the identical and the different, but only a sliding scale of approximation, degrees of similarity. The practical solution –– what actually happens in the world of differently similar things –– is non-identical repetition, or imitation with variation. The first two composers on the album, Arvo Pårt and Olivier Messiaen, present two alternative sonic solutions to the concept of imitation with variation. Fratres (Latin for ‘brethren’) is an early example of Pårt’s ‘tintinnabular’ style (from the Latin tintinnabulum, ‘bell’), a style based on the fusion of an austere minimalist diatonic tonal vocabulary with a musically-notated imitation of the evocative tolling of bells. The piece is a series of nine variations on a chordal- melodic sequence, two outer voices moving stepwise in parallel tenths and an inner voice — the ‘tintinnabular’ voice — arpeggiating the tonic triad. Each variation is coloured by a different violinistic technique. The listener is drawn into two phenomenal sound spaces: the cyclical return of a repeating progression and the colouristic embellishments of an impassioned violinist. While the former frustrates our customary forward-oriented way of listening, encouraging us to listen not for the next note in an ineluctable progression towards a climatic endpoint but to the repeated unit itself; the latter attempts to overcome the perpetual iteration by endowing this repeating cycle with a sense of over-arching trajectory. Despite the violin’s virtuosic flights of coloration, the listener is nonetheless drawn into the singular affect of the repeating chordal sequence, realising that the presence of repetition is discerned not through passive hearing but active listening. ‘I have discovered’, Pårt explains, ‘that it is enough if a single note is played beautifully’. The singularity of the chordal sequence becomes ‘beautiful’ as we attune our own patterned hearing to the immediate presence of the sequence. When we hear a repetition, wrote the literary critic I. A. Richards, we are not reacting to a pattern in the words (or the music), but to a pattern within ourselves –– we are ‘becoming patterned’. Whilst Pårt’s experiment is in producing a music of bare-boned affective sound structures, exposing the dimensions of ‘a single note’, Messiaen’s Thème et Variations bespeaks a more chaotic and dynamic meshing of the colouristic and affective. Famously, the composer had what is known as ‘colour-hearing synaesthesia’, that is, a disposition that allows two senses –– the auricular and the ocular –– to overlap in such a way that the person can ‘hear’ colours. This is more than simply associationism: Messiaen describes it as a ‘kind of synopsia (‘together-seeing’)’ which allowed him to ‘see inwardly, in my mind’s eye, colours which move with the music’, sensing them ‘in an extremely vivid manner…’ For the synaesthete, the challenge is thus not to find the correct imitative representation of reality (as with Pärt’s imitation of bells), but rather to convey the way in which the visual and sonic, the colouristic and the affective, occur simultaneously, enmeshed in a single indeterminate experience. Thème et Variations, premiered on November 22, 1932, by Messiaen and his wife Claire Delbos, is a good example of this synaesthetic, highly expressionistic, style. The piece was one of the first of Messiaen’s to achieve public success, causing a young Pierre Boulez to seek out an apprenticeship to the then only 23-year old composer. The theme itself is 28 bars long, with a clear tripartite division (7 + 7 + 14). 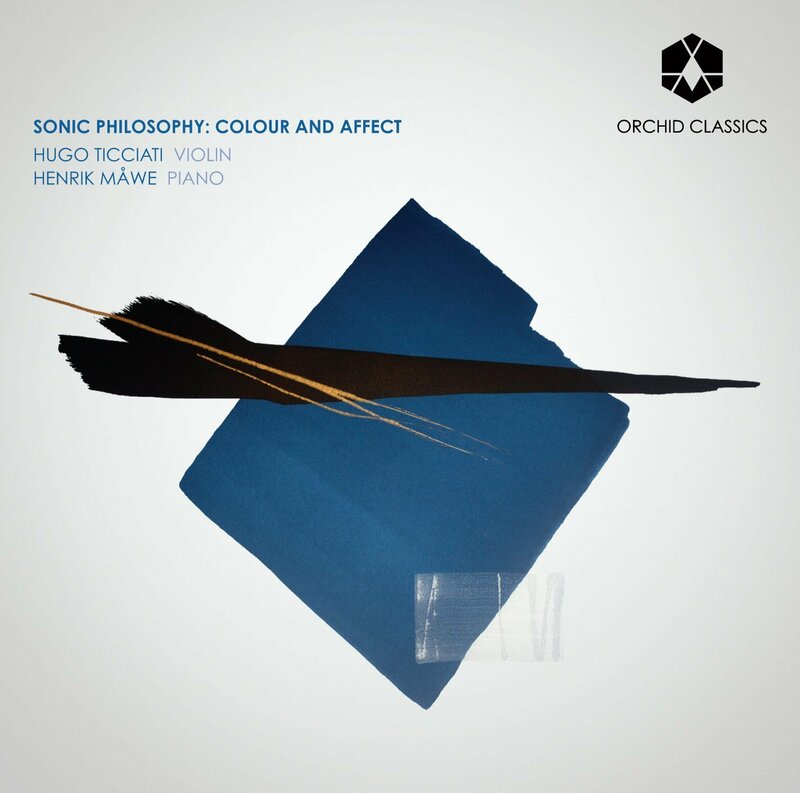 Abandoning the more traditional rhetoric of melodic coloration over a harmonic ground, Messiaen treats the theme as an amalgam of vertical and horizontal modules, which he then subjects to the mosaic-like techniques particularly redolent of pre-Baroque music: imitative contrapuntal combinations, mensural variation, transposition, etc. The unsettling result is the effect of a theme that somehow becomes inextricably bound to its variations –– implicated in them, explicated through them. Where Pårt’s successive cycles of unwavering chordal sequences invite us to experience repetition as something internal to itself (an ‘en-stasy’) whose total effect is built up over the time-span of the entire piece, Messiaen’s method is different. His disruptive manipulation of traditional variation devices casts repetition into immediate relief, making it stand outside itself (a sonic ‘ec-stasy’), its total effect conveyed in the intensity of each note and division. Common to both Pårt’s anchoring of repetition in the repetition of singularities (sequences, sounds), and Messiaen’s unsettling of repetition through variation, there is that which repetition repeats: the theme, the ground, the bass, the fundament. Rather than any music-rhetorical figure, this is what Zen instructor Shunryu Suzuki calls the ‘spirit of repetition’, which, if lost, will make ‘your practice … quite difficult’ (Zen Mind, Beginner’s Mind). The three improvisations that are interspersed throughout this programme seek to embody this ‘spirit of repetition’. They were recorded last, with no pre-planned agreement between the players as to a general structure or pattern. Instead, Hugo and Henrik let these improvisations become a recapitulation of the three days of intensive labour which had gone into recording the rest of the programme. If the scored pieces might be likened to a weaver’s weft, these improvisations are the warp, creating a commentary of free expression. Here, the unexpected and familiar converge, leading us onwards to a final denouement of Purcell’s ground on the very final track. Pårt and Messiaen both used, in their different ways, structural repetition to draw the listener into the intensity of a singular musical affect. This level of fundamental intensity, however, can be reached without the figure of repetition. In his interpretation of rhetoric, Of Grammatology, the philosopher Jacques Derrida wrote: ‘a signifier is from the very beginning the possibility of its own repetition, of its own image of resemblance’. That is, a ‘second’ time is not essential for repetition to unfold from the ‘single sound’; the ground carries with it the potential for future repetition. One might, then, choose to excavate the deeper levels of musical colour by remaining on the level of its most basic expression, which then becomes its most intensive coloration. This is part of the phenomenological attention to aural detail that is heard in Anton Webern’s Vier Stücke. It was first performed in June 1912 at a ‘counter’ celebration to the Vienna Music Festival week organised with Alban Berg, a fellow representative of the so-called Second Viennese School of composers around Arnold Schoenberg. The pieces are brief and gnomic in character, the pregnancy of subdued dynamics in the first and third erupt sporadically in the second and fourth, fashioning a pent-up tenseness one member of its first audience could allegedly only alleviate by giggling. Vier Stücke is an archaeological study in uncovering the musical moment prior to its encasement in a pre-meditated structure, and anticipates Webern’s later engagement in twelve-tone music. The focus here is not, as in Messiaen, a sequence of notes forming a synaesthetic compound of colour and affect, but the singularity of notes and note-clusters encapsulating the prismatic totality of an affect: from silence through performative attack to the return of silence. The alluring first impression of the music’s chaotic spontaneity belies the scrupulous precision with which Webern marked every note of the score with performance instructions. It is in this poetic conjunction of chaotic surface and meticulous design that Vier Stücke shares a certain affinity with the bija-mantra of Eastern thought, the name given to the basic ‘seed’ sounds that were thought to underlie the world of sensory impressions. Within such a conceptual framework, the opening notes of Vier Stücke can be perceived as ‘Ur’-sounds, setting in motion the vibrations of the cosmos not through motivic development but chaotic unfolding. Hika means ‘elegy’ in Japanese: a song of loss and mourning. Although the aphoristic piece is characterised, like Vier Stücke, by its subdued dynamics and fleeting upsurges, we are not drawn into the visceral ‘Ur’-sound of notes but rather into an introspective space where the act of listening becomes self- aware: it is as though we are listening in on the music, rather than hearing it played to us. In keeping with most of Takemitsu’s oeuvre, the piece, despite its opening dodecaphonic statement, does not adhere to any strict serialism. Like Webern, Takemitsu is far more interested in excavating sonic affect than in de- scribing this affect within figurative structures. When such structures do appear, they quickly dissipate, the piece being held together instead by its densely lyrical timbre and careful crafting of expressionistic soundscapes. This stylistics of aural collage is characteristic of Expressionism, which is more than a superficial ‘style’. In truth, Expressionism presumes an ontology (a theory of reality) in which the unsaid is equi-primordial to the said; or, put differently, in which potentiality (the note not-yet-played) and actuality (the note played out) are equally real, though existing in different modes. Baruch Spinoza, the seventeenth-century philosopher and lens grinder, argued that potentiality is thus not possibility but force, or power –– the power we have of affecting and being affected. Potentiality, he explains in his Ethics, expresses itself whenever we are active, allowing our bodies to come into contact with other bodies (a body being not only a torso with four limbs but a ‘body’ of matter –– such as an ocean, a flame, a table, anything that offers resistance). When we act, we actualise our potential, and are able to see ‘what a body can do’: that is, we change, we grow, we acquire new habits and master new skills. It was to this positive (but also indeterminate) power of immediate affect that the Expressionists turned –– perhaps from a post-WWII nostalgia for a ‘pure’ potentiality unsullied by actions that so easily confuse the human spirit, becoming events of ‘banal’ evil, to borrow a phrase from Hannah Arendt. The ascription of Expressionism reminds us that Takemitsu is a near-contemporary and compatriot of Toko Shinoda. Particularly in its abstract form, Expressionism habitually draws on and juxtaposes many different colouristic palettes in order to create un-mediated affects. Spontaneity is honed by attempting to capture that potential which precedes the playing-out of the note, or the stroke of the brush. Here, aural and visual fulfilment is not predicated on a determining structural edifice but on an attentiveness to the detached actualisation of this potential in the fleeting moment when the sound or sight imprints itself on the human senses. Marmen’s Waiting, written for violinist Hugo Ticciati, adds a twenty-first century voice to the expressionist exploration of the actualisation of sound. As he explains in his performance notes, ‘the idea is to examine violent efforts against an unyielding, calm surface, and the emotional impact of slowly approaching a rift into the true nature of things, looking into it, and then slowly backing away again’. Taking as its point of departure Lucio Fontana’s spatial concept of ‘waiting’, Marmén uses single, long notes as architectonic lines to sketch out a topology of sound, and instructs both performers to play resolutely from within their own sound-worlds. The waiting act is not one of stasis (the breath held), but of active preparation, that proleptic waiting which the political activist and philosopher Simone Weil believed to reveal most purely the true nature of reality. The violently attacked notes of the piano are left to decay into nothingness, bleaching the colour out of the individual tones and making us strain our ears for the plethora of overtones that make up the seeming unity of a ‘single’ note, while long extended glissandi over very short distances in the violin collide and grate with these overtones. The austere resonances of Waiting are a still life where the ‘violent effort’ takes place primarily at the beginning of the note, diluting itself as the note is played out. Sound is drained of its protective coverings: at the end of each note, there remains no vestige of colour, figuration, or emphasis. It takes as its fundamental building block not repetition as a persuasive means of attaining coherence, but, as in Vier Stücke, the act of attending to sound itself. A certain purity of affect is reached: the pre-reflective affections (feelings) we perceive when listening to this music does not ‘sway’ us in any particular direction. It is an experiment in fabricating a ‘neutral’ –– or perhaps better, indifferent –– music. The foregoing pieces have been largely concerned with the dimension of the musical present, of that ephemeral ‘fulfilment’ which is the sacred character of the intensive sound, without the classical perspectives of an eschatological redemption. In these last three pieces we will be addressing this vertical gamut of hell ‘absolutely down below –– and heaven on high’, as symbolist poet Arthur Rimbaud satirically put it. In Arjuna’s Transfiguration, Charles Economou has used the spiritual ascent of man from human to divine as his source of inspiration. Arjuna’s Transfiguration is a lyrical meditation on words from the Bhagavad Gita, or ‘Song of the Lord’, one of the most revered texts of Hinduism. The Gita depicts a pivotal moment in the great battle of the epic poem The Mahabharata. Surveying the no-man’s land between two competing factions of one family, the warrior Arjuna is struck suddenly by the hideousness of the battlefield, where cousin must slay cousin, and pupils their beloved teachers. Declaring that he will not fight, Arjuna turns to Krishna, his charioteer, who offers him advice in the form of a sermon, in which, over the course of its eighteen books, Krishna consoles Arjuna by relating to him the truth of life and death: though our bodies perish, we cannot truly die, since our souls are immortal, perpetually reborn into new bodies after death. By practising an ascetic form of detachment from earthly desires and devoting our love to the Divine, we are able to depart the fetters of bodily existence and return to the bosom of the Lord. God dwells in the heart of all beings, Arjuna: thy God dwells in thy heart. whirling us onward on the stream of time. Go to him for thy salvation with all thy soul, victorious man. By his grace thou shalt obtain the peace supreme, the home of Eternity. Colour and affect have been the guiding themes in exploring not only the analysis of music, but the theory of its experience, a theory that is never far from musical praxis, whether this be in the context of a public performance, or the intimate milieu of a musician doing their daily practice. Our two axes have at times been joined by others –– the excavation of sound; psychology; theology. Despite the valiant attempts of Arvo Pärt’s violinist, one significant theme has, however, remained tacit: passion. Spinoza had praised the affections because they represented, quite literally, a pro-activism. Affections are those events which impact and impress us, they are ‘impressions of pleasure or pain’. This reasoning allowed music theoreticians to devise formulae which the budding composer could employ in order to achieve a desired efficacy –– today we still tell beginners that playing in a minor key excites a mournful pathos. The nineteenth-century Romantics, who admired Spinoza but rejected his psychology, thought that the preceding centuries had undervalued the power emotions could have when they became coloured by desire, subject to an overriding yearning, a Sehnsucht. Our final piece, by the Swedish composer Albert Schnelzer, is in many ways a twenty-first century retrospective on the Romantic discovery of passion as a positive, even contemplative, force. It takes as its namesake the Greek god Apollo, brother of the virgin huntress Artemis, and the mythical inventor of the lyre. The ascription of dancing arrests our attention, for Apollo is commonly depicted carrying his delicate instrument; and it is this mellow, vocally accompanied, music of which he is primarily the patron –– dancing belongs to the god Dionysus, and his band of mad-cap revellers. Schnelzer’s Apollo, whom we follow from his birth through to his youth and adolescence, is not the effete caricature of marble-busted reason which Friedrich Nietzsche famously critiqued in The Birth of Tragedy Out of the Spirit of Music, but a young man in whom both the Apollonian and the Dionysian are vital. As the pianist hits the strings inside the piano and the violin plays a high A, the score reads: ‘A sound from another world … the world of the gods’. At this moment, melody is born. The first section (birth and youth) explores sonic atmospheres employing wide registers and meditative timbres. This classical portrayal of the boy-god is then contrasted in the second movement, where we hear Apollo’s adolescence in the arrival of exotic Klezmer scales, outbursts of surging rhythms, ever-changing metres and virtuosic prowess (Dionysus was thought to have come to Greece from Thrace, west of the Black Sea). There is little respite as the music drives to a passionately violent end. In Apollonian Dances, the other-worldly ambience of the divine realm is exchanged for the more recognisable terrain of earthly desires. And it is perhaps in the mingling of the two –– of human and divine, colouristic passion and ‘pure’ affect –– that both listener and performer are able to become truly immersed in Shinoda’s fleeting ‘fulfilment’. In its melancholy stillness, the closing piece of Sonic Philosophy reflects the narrative of pieces brought together in this programme. It returns us to Purcell’s A New Ground, but here in its straight version, without the lens of improvisation we heard earlier (tracks 3, 9, and 14). Characteristic of Purcell’s music is a cautious attitude toward unnecessary flights of fancy. Instead his numerous Grounds, including the one performed here by Henrik Måwe, make use only of the bare minimum of invention. A New Ground is a sonic utterance, unadorned but no less more striking for that. With restrained simplicity it literally grounds our listening, both historically and affectively, transporting us to the era of the Baroque. Thus the ending it offers to the programme is not one of foregone conclusions, but of an ‘open’ whole –– the joyful path of music. Hugo Ticciati was born in London in 1980 and moved to Sweden at the age of 20 to study with the Russian violinists, Nina and Oleg Balabina. Hugo embraces the world of contemporary music, collaborating with composers such as Sven-David Sandstrøm, Albert Schnelzer, Anders Hillborg, Djuro Zivkovic, Leonardo Coral, Andrea Tarrodi, Tobias Broström, Thomas Jennefelt, Sergey N. Evtushenko, Esaias Järnegard, Thomas Sleeper and Volodymir Runchak. He has performed concertos dedicated to him across the world in venues including Carnegie Hall, Mariinsky Theatre Concert Hall, Chicago Symphony Hall, Cadogan Hall and Berwaldhallen. Hugo also loves devising concerts and events that combine music with the other arts, notably dance and literature. He is currently working with the English composer Bill Connor on ‘An Improvised Violin Concerto’. Hugo has a passion for chamber music and gives regular recitals in prestigious halls across Europe and the Far East, collaborating with artists such as Anne- Sofie von Otter, Steven Isserlis, Angela Hewitt, Michael Collins, Torleif Thedeen, Leslie Howard, Staffan Scheja, Michael Tsalka and Henrik Måwe. He is also regularly invited to renowned music festivals such as The Baltic Sea Festival, Hermitage Music Festival, Bachwoche Ansbach, St-Denis-Festival, Cervantino, Edinburgh Festival and Gotland Chamber Music Festival. Hugo directs his own festival O/MODERNT at Ulrikdals Palace Theatre Confidencen, Stockholm. Selected programmes from the festival will be presented as a series of concerts at Wigmore Hall in London and Muziekgebouw aan ‘t IJ in Amsterdam. Together with many scholarships Hugo has won the international competitions Giovani Talenti and Rovere d’Oro at San Bartolomeo al Mare, Italy (2002), and the Mendelssohn Cup in Bari, Italy (2004). In 2007 he was admitted as a Fellow of the Royal Schools of Music in the United Kingdom. Hugo plays on a 1752 Giovanni Battista Guadagnini. Henrik Måwe, born in Sweden 1981, is considered one of the most prominent Swedish pianists of his generation. He studied with Prof. Hui-Ying Liu-Tawaststjerna at the Sibelius Academy in Helsinki and with Prof. Staffan Scheja at the Royal College of Music in Stockholm. Since his debut in 2008 with the Royal Philharmonic Orchestra of Stockholm, Henrik has performed regularly all over Europe and the USA. Henrik plays with the leading Swedish orchestras, collaborating with conductors such as B Tommy Andersson, Hannu Koivula and Mats Rondin. He is also invited to festivals such as Savigny le Temple, Moulin d’Andé, Gotland Chamber Music Festival, Malar Music, Festival O/MODERNT. Being a passionate chamber musician, he has collaborated with the foremost instrumentalists and singers of Sweden, notably the renowned baritone Håkan Hagegård. Henrik has also branched out into the field of jazz and improvisation, and has worked with bass player and composer Georg Riedel. Furthermore he loves devoting entire recitals to improvisation, often asking the audience to provide a theme that he can then elaborate on! Besides his active performing career, Henrik enjoys teaching and hold the position of chamber music coach at the specialist music school Lilla Akademien in Stockholm. In 2008 Henrik was awarded the ‘Rosenborg-Gehrmans’ scholarship, the most prestigious scholarship for young musicians in Sweden. He has received many other important scholarships in Sweden. Prizes won in competitions include 3rd prize at the FLAME International Piano Competition in Paris, 4th prize at the Val Tidone Competition in Italy, 2nd prize at the Blüthner Nordic Piano Competition in Malmö. Henrik is supported by the world’s leading piano manufacturer, Steinway & Sons, as a ‘Young Steinway Artist’.